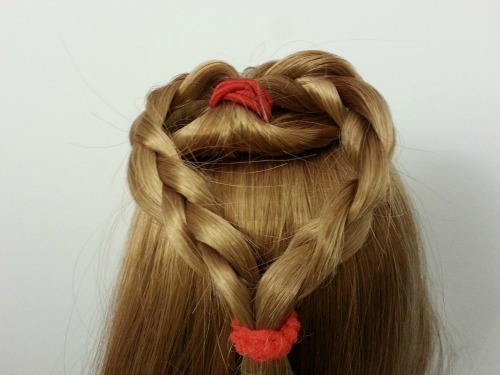 I love all the cool hairstyles you can do with American Girl dolls. It is fun for kids to experiment with new hairstyles for their dolls. Holidays are the perfect time for a special “do”. 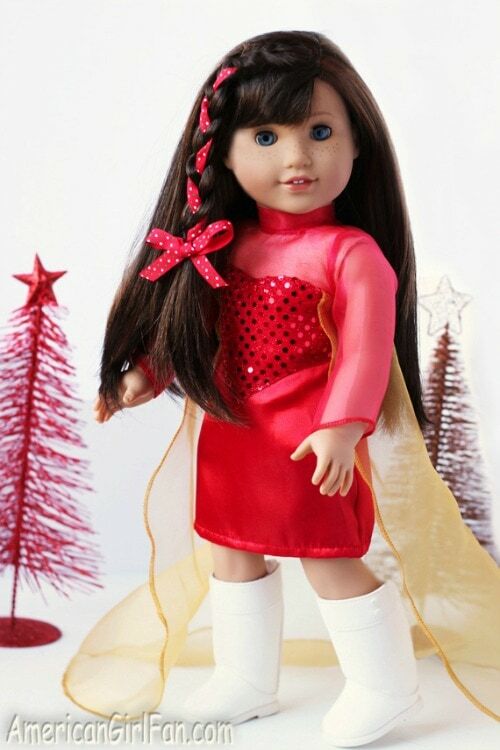 These holiday hairstyles for American Girl dolls will make your doll the belle of the ball!! How about some fun styles for Valentine's Day, 4th of July, Halloween, Thanksgiving and Christmas?? 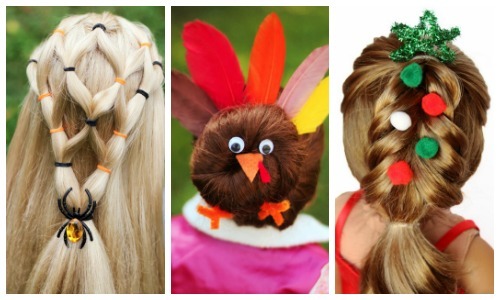 These holiday hairstyles are SO CUTE and they aren't too difficult for kids to master either. Be still my heart…..this Valentine's Day Heart bun is ADORABLE! Not one heart but two hearts with these Valentine's Day Heart Pigtails. 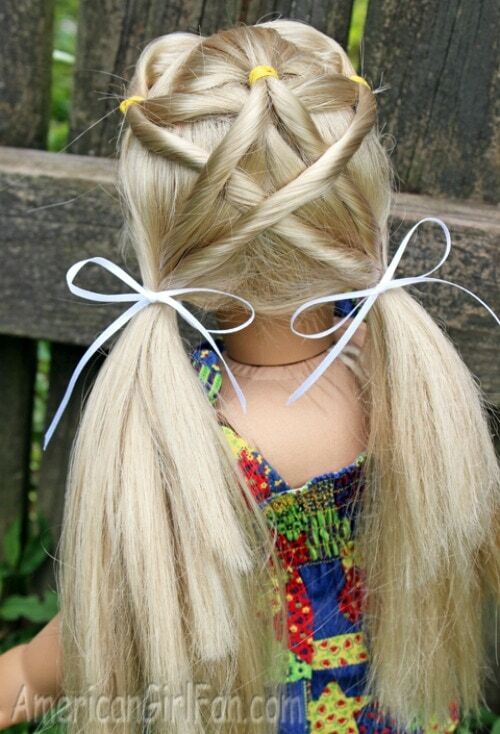 This Valentine's Day Heart Braid is super chic and any girl would enjoy her doll looking like this. I love how festive this 4th of July Triple Ponytail looks. Plus it won't take long to complete this hairstyle! 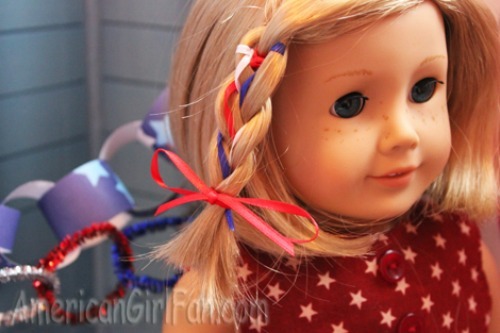 These Star Pigtails are very patriotic and look super fancy too! 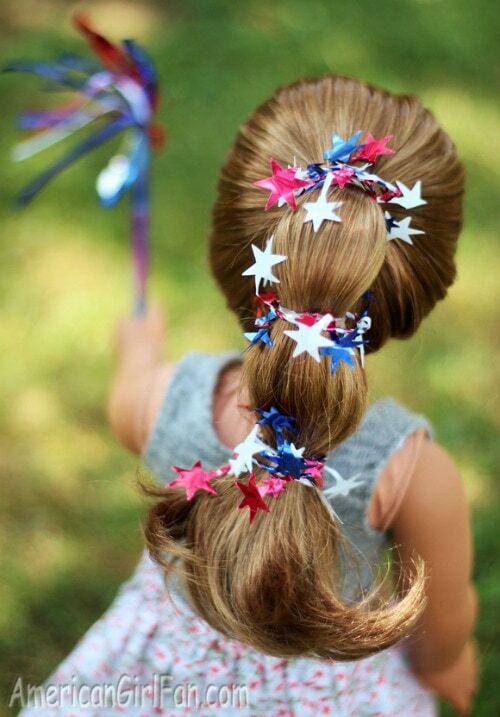 This 4th of July Ribbon Braid works great for dolls with shorter hair and still looks really cute. 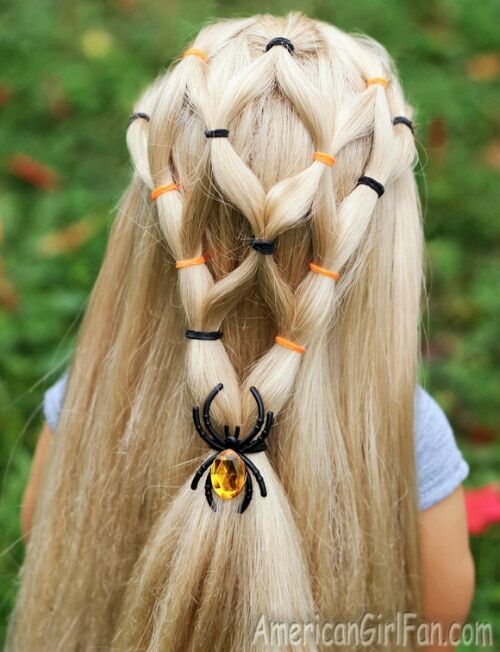 This Halloween Ponytail Veil is super cute and the spider really works!! 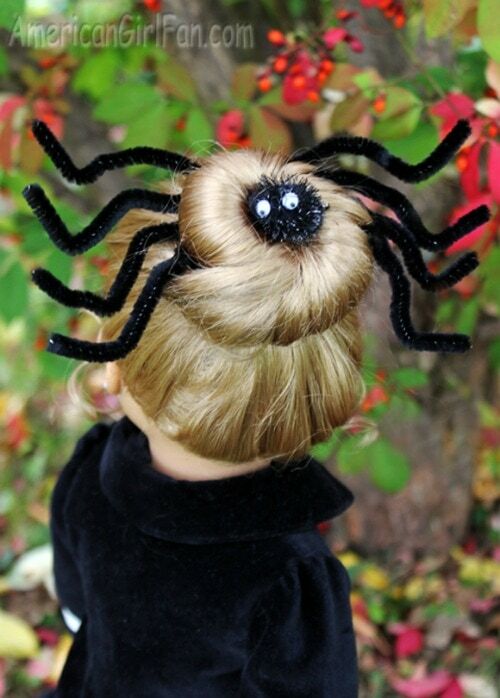 What little girl wouldn't love to show off her doll with this Spooky Spider Bun hairstyle? I think this Thanksgiving Turkey Bun is good enough to earn the doll a place at the table! 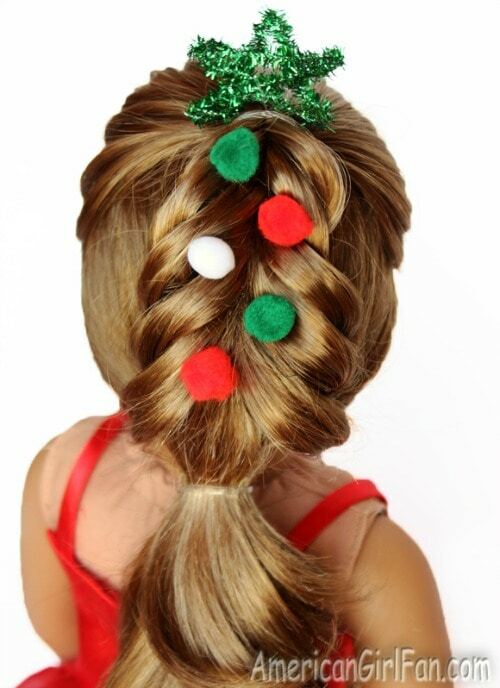 The Christmas Tree Pull Through Braid would be great for pictures with your doll!! This Christmas Side Ribbon Braid can be done with any ribbon to match your doll's outfit! 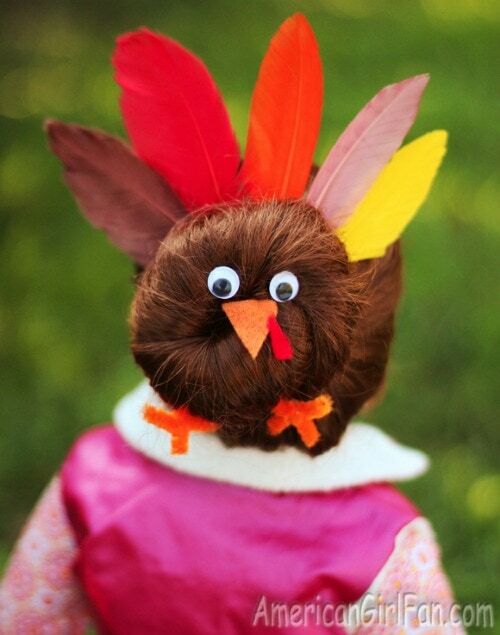 What is Your Favorite Holiday Hairstyle for American Girl Dolls? Which style is your favorite? I really love the Christmas tree braid!! 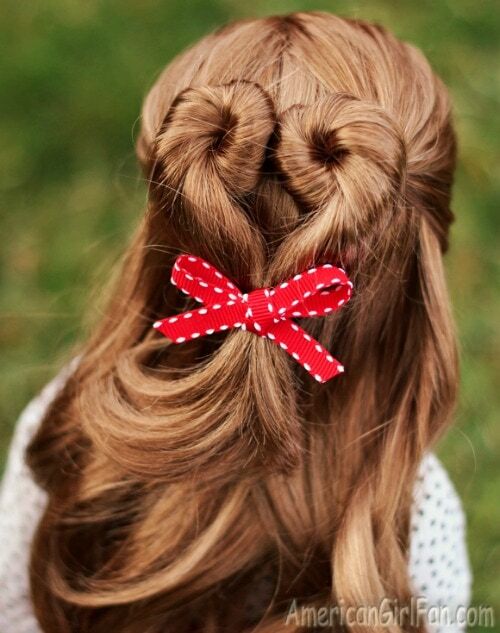 Be sure to check out some Easy American Girl Hairstyles Even Little Girls Can Do!